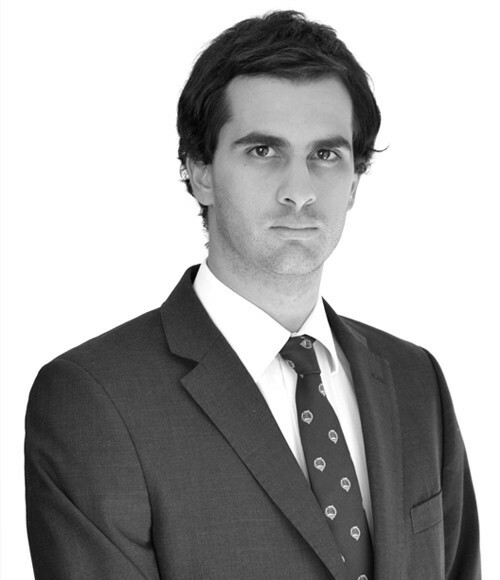 His practice focuses on corporate and commercial law, international trade, foreign investment and general practice. Salmones Camanchaca, a subsidiary of Compañía Pesquera Camanchaca, a Chilean publicly held corporation dedicated to the breeding, production, commercialization and export of salmon and trout, in a due diligence for its simultaneous IPOs in the stock exchanges of Oslo and Santiago. MetLife on several regulation and corporate matters of its subsidiaries in Chile. Porsche Bank and Volkswagen Financial Services, members of the Volkswagen Group, on the implementation in Chile of strategic alliances with local companies in the vehicle financing business. VTR on the sale of its 50% stake in CNN Chile to Turner Latin America. Through this acquisition, Turner Latin America is now the sole owner of CNN Chile. Andes Mainstream on the “Supply Tender Process 2015/01” bidding process, and the successful awarding of 3,366 GWh/year to supply energy to the distribution companies of a total of 12,430 GWh/year. Precision Pulley & Idler, a US market leader in the production and commercialization of components for conveyor systems, with manufacturing operations in the US and Canada, on the acquisition of 100% of the shares of Clark Ingeniería y Desarrollo, one of Chile’s market leaders in manufacturing and commercialization of equipment, components and spare parts for conveyor systems. This was the first acquisition by PPI outside of North America. Team Foods, a Colombian business group, on the acquisition of BredenMaster, Chile´s frozen pre-baked bakery products and pastries market leader, as well as BredenMaster Perú and Distribuidora de Productos Alimenticios Los Guindos. EWOS, a Norwegian fish food supplier for the aquaculture industry, on the acquisition of the Chilean fish farming company Nova Austral and its subsidiary Comercial Austral. The acquisition of Nova Austral was done under the bankruptcy of its controlling shareholder Acuinova. Teaching Assistant of History of Law, Universidad Católica de Chile (2009-2011). Teaching Assistant of Economic Law, Universidad Católica de Chile (2009-2014). Teaching Assistant of Commercial Law, Universidad Católica de Chile (since 2015). Exchange Student, University College Dublin (2013).